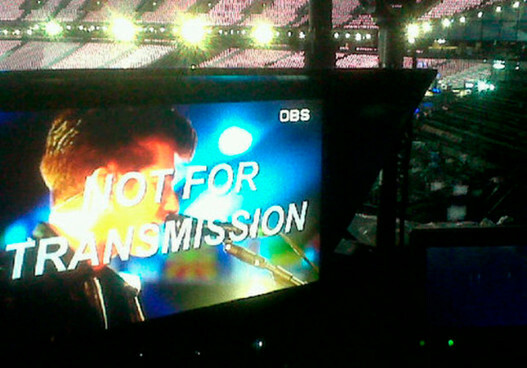 Arctic Monkeys to play Olympics? Lets hope so. Heard some rather very interesting new yesterday about the Olympics which made me immediately want to watch the opening ceremony, because I wasn’t to bothered before. This is the news that the Arctic Monkeys will be playing at the opening ceremony and that’s what should be happening, we’re a great country for music, we have some of the best bands in the world, better than any other country so we should just showcase all of these acts. ARCTIC MONKEYS DO 30 MINUTES. It was great! They could have played one more though. And Macca… what can I say about him? Simply, wonderful!! Just like when I saw him here. Oh, and I like the amount of explosion you’ve planned. It’d surely be massive! :), they were really good and Alex Turner just looked God like haha.I Love how Macca is singing songs he wrote when he was in the beatles, I love that :). Yes, the explosions should’ve happened haha.